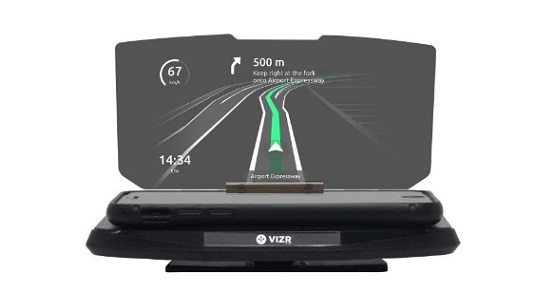 Much inspired by fighter jet technology, Vizr display is truly the GPS of the 21st century available online. It is one of the best GPS display that allows you to drive without having to take your eyes off the road, utilizing Air Force heads up display technology. This enables the driver to stay focused straight on the road and hence stay away from uncertain accidents and hazards. One of the coolest gift and editor's choices of this year which is available at the right price range. Want to get one? Head to below link for shopping it on Amazon.